Biography of Oh. — Oh. Composing music when words and images aren’t quite enough. Composing and producing music is what I am passionate about. Music that comes from a place within and not particularly connected to a genre. What I compose fits most comfortable within the progressive metal and rock genre. A genre that has always given the most freedom and creative control to their artists. When faced with the task of taking the music within to something other people can also listen to – you need sound. I became a multi-instrumentalist only because I needed sounds. I needed guitars, bass, drum, violins, pianos and percussion for my pieces. I also didn’t want to wait for some slight chance there would be other musicians who would want to play my music. Those sounds needed to be mixed and mastered. 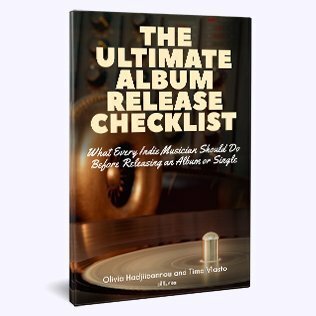 So I got some experience in mixing and mastering from some great mentors in the music world. Those compositions inspired visuals. So I learned how to make short films aka music videos. So begins the journey of Oh. Oh. 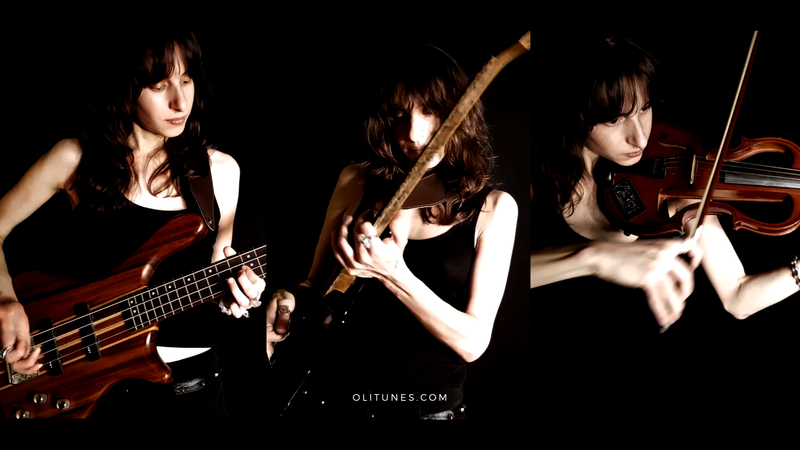 — is the moniker of the Greek multi-instrumentalist, composer and producer Olivia Hadjiioannou*. Oh. announced her arrival to the international music community in 2013 with a 24-minute debut EP, “Sleeping World”. “Trials”—a song about the struggles of her ‘lost generation’ won an international music video award. The song was selected by the Greek press as one of the top-50 events to mark Greece during the economic crisis. 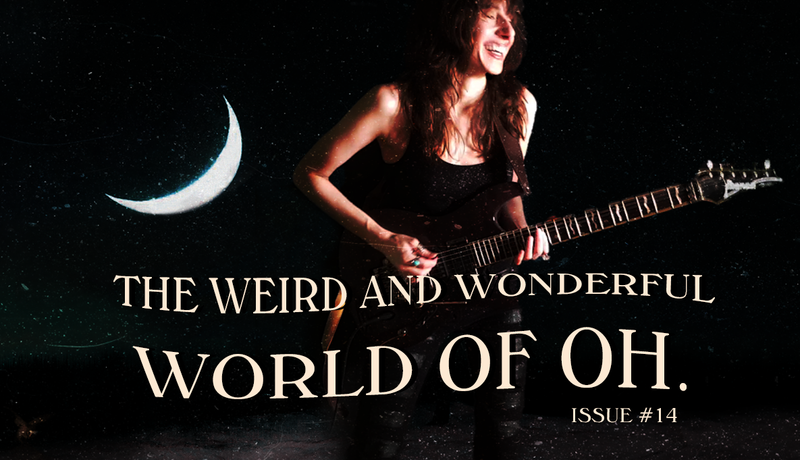 “Sleeping World’ also caused a stir in the international music press. 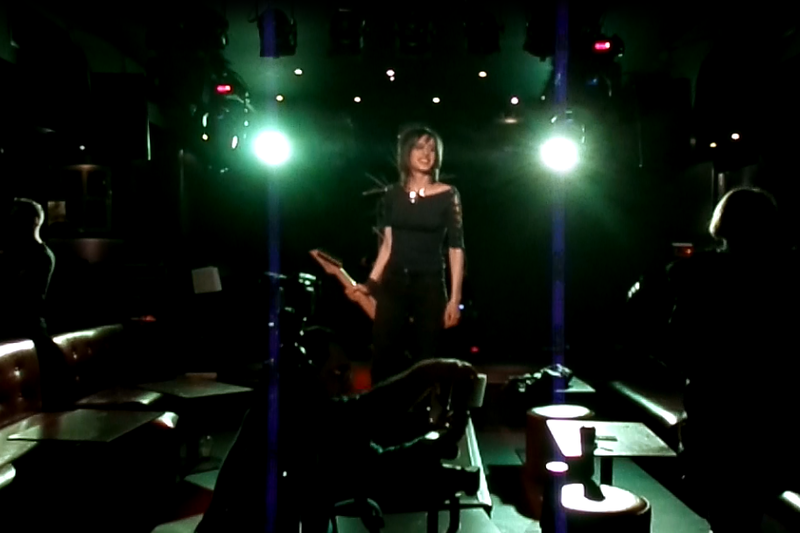 Reviewers compared her vocal talents to stars like Kate Bush, Tori Amos, Happy Rhodes, Céline Dion, Melissa Auf der Maur, Sharon Den Adel and Anneke Van Giesbergen. 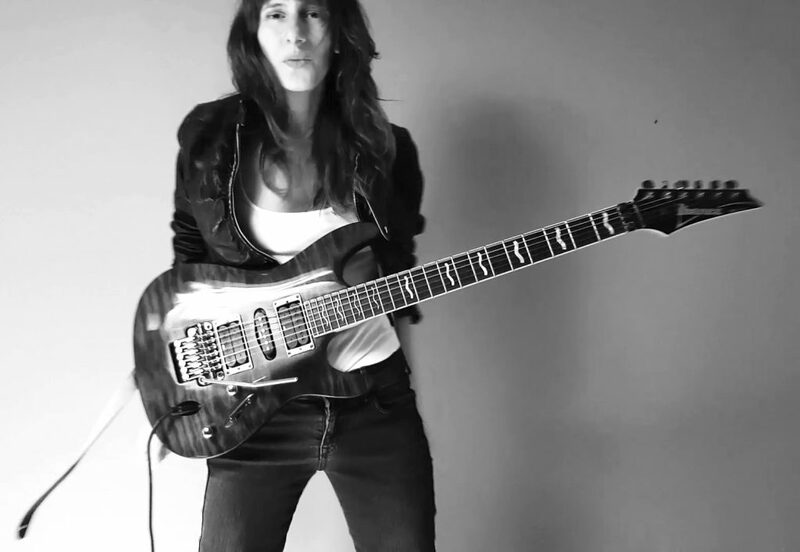 In 2015, she followed up with a 34-minute instrumental progressive metal concept album “Synemotion” as a Double Limited-Edition vinyl release. Between 2016 to 2018 Oh. released four successful single-ballads about love (“Love Will Heal”, “Love of Avalanches”, “I’m In Love” and “Deserted Eyes”). The music video for “Love of Avalanches” was one of the first handmade 360 virtual reality (VR) videos on YouTube. The innovative workflow to produce the video was showcased at NAB in 2016 by Mettle. A 3D WebGL interactive experience for the launch of the single “I’m in Love” was nominated on Awwwards.com in 2017. And finally, “Deserted Eyes” won four international music video awards, most recently in the London Greek Film Festival in 2018. 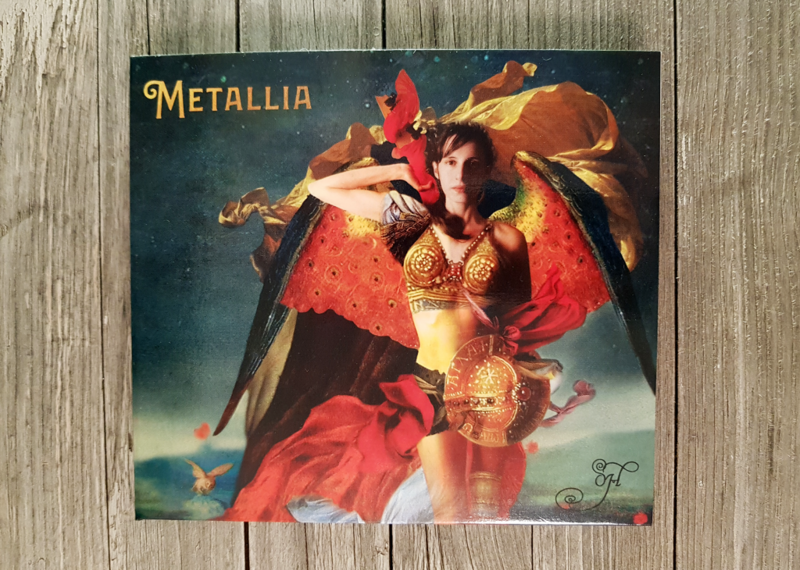 Her new EP “Metallia” was released on July 28, 2018 as a luxuriously designed digipack-CD with a 16-page booklet. 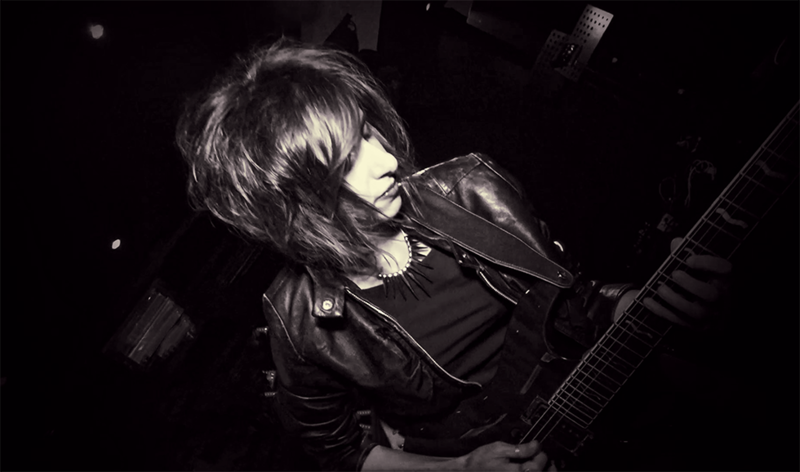 The EP includes 6 new tracks with a total duration of just over 25 minutes. 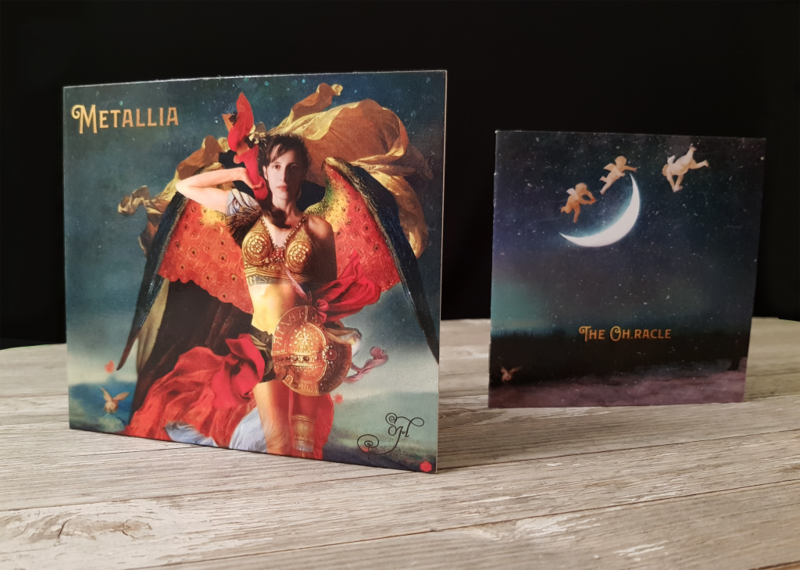 Since it launched it has received over 32 reviews from 13 countries worldwide, is in the top 10 Prog EPs on Progarchives and listed as one of the best albums of the year for 2018 on Metal Nation Radio. Oh. 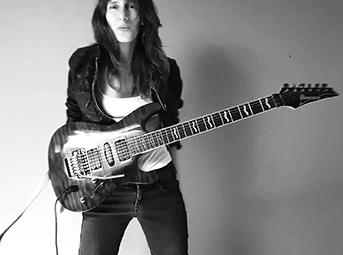 plays guitar (electric and acoustic), bass, drums, violin, piano and percussion composes, performs, produces, mixes and masters in Athens, Greece. The real story about Oh. and her music is not disguised behind her moniker or cultivated in the place she was born. 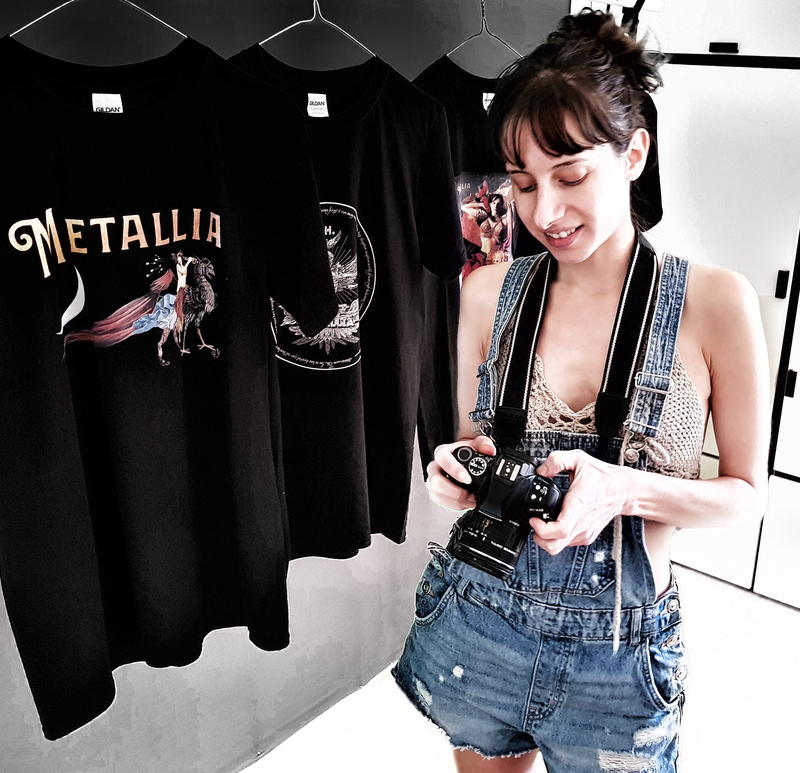 What drives her to play a half-dozen instruments or insist on mixing and mastering her own music isn’t revealed in a succession of external events — rather, driven by a passion to musically reveal an “inner-story”. Yes, she calls herself Oh. because those are the initials of her real name Olivia Hadjiioannou *, – unpronounceable to most except other natives of Greece, where she was born. Her time in her studio is spent in crafting a sound, as she says. ‘epic enough’ to touch the soul, whether in the darkest recesses of sorrow or heights of elation. 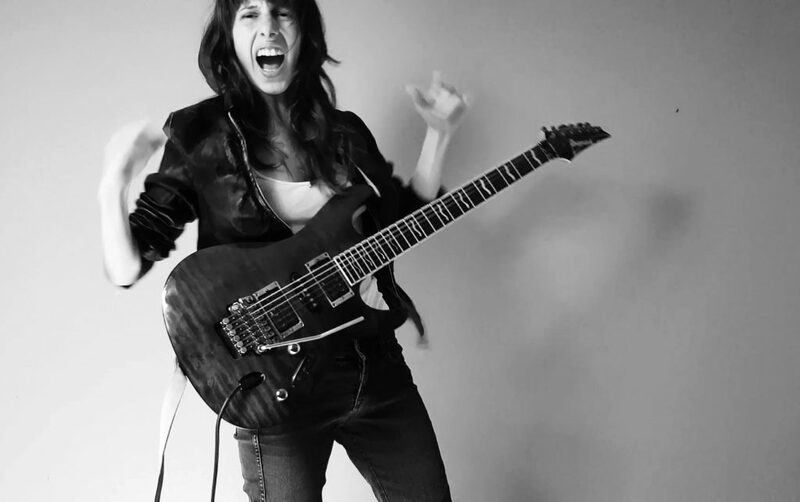 Within those wild and thrashing guitars and ecstatic voices, there is a faint but powerful voice of hope — you are left transformed in a subtle way. 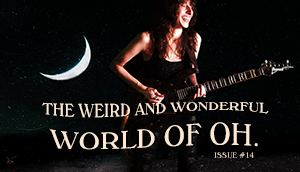 There is so much more to Oh., you just need to listen and listen carefully — because there are many twists and turns in her progressive rock and metal landscapes. The last of the single ballad series, “Deserted Eyes” was released on January 19, 2018 with an animated music video and innovative WebGL experience. The song is was a semi-finalist in the 2017 International Songwriters Competition (ISC) and the music video was the winner of the Cosmocinema Awards for Best Music Video Award in the London Greek Film Festival, an official selection in the 13th Athens Animfest 2018, winner for Best Video Art in the Five Continents International Film Festival and Official Selection in the Experimental Dance & Music Film Festival. 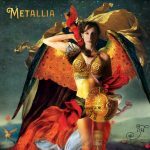 A progressive metal EP, “Metallia” was released July 27 2018. The music video for the song “Red Lion” from the album is an Official Selection in the Paleochora Lost World Short Film Festival, Semi-Finalist in the Indie Visions Film Festival, winner in the Independent Talents International Film Festival, Semi-finalist in Light Future International Film Festival, Official Selection in the Cosmocinema Film Festival and participant in the Lift-Off Sessions. 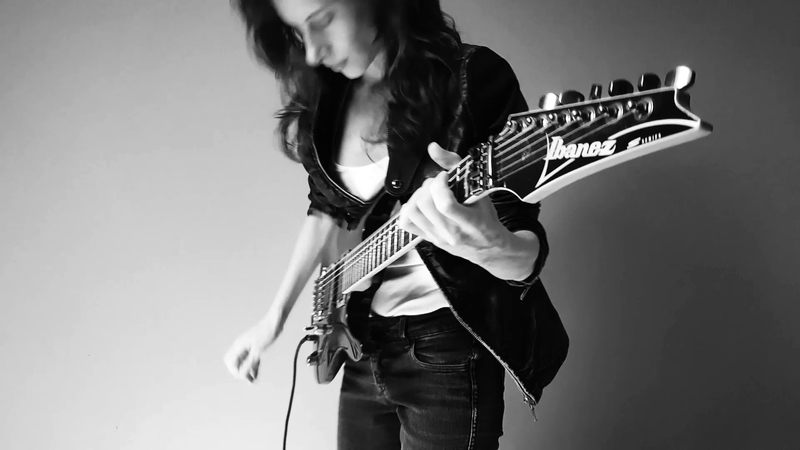 Reviewers have compared her voice to Sharon Den Adel and Anneke Van Giesbergen, others to Happy Rhodes and a cross between Kate bush, Tori Amos, Melissa Auf der Maur, and Eivør. They emphasized her quite unique style, as one said, “she defies analysis somewhat as Queensryche” with distinctive sound of her own. Elements of bands like Sacrilege, Black Sabbath’s “Zero the Hero” period and a bit of Exciter have been mentioned in various commentaries. Oh. 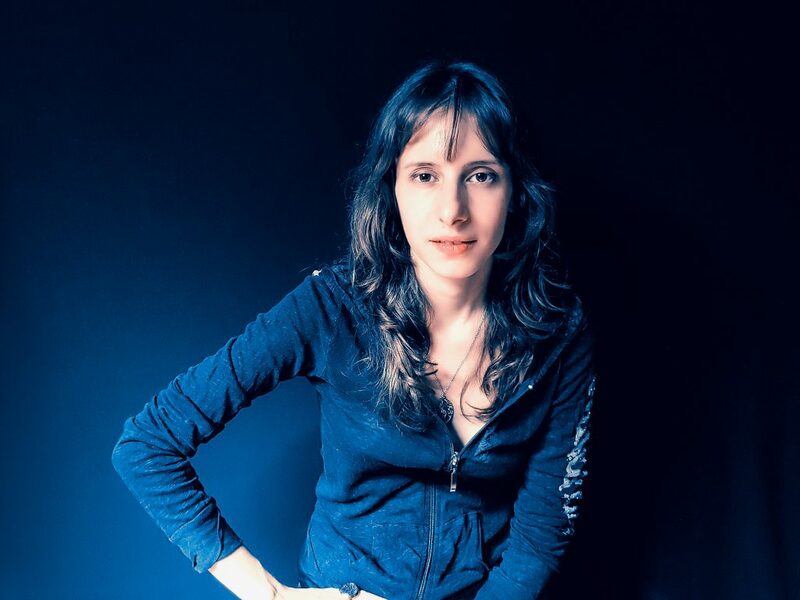 is a multi-instrumentalist (guitar (electric and acoustic), bass, drums, violin, piano and percussion) who composes, performs, produces, mixes and masters her own music from her studio in Athens, Greece. 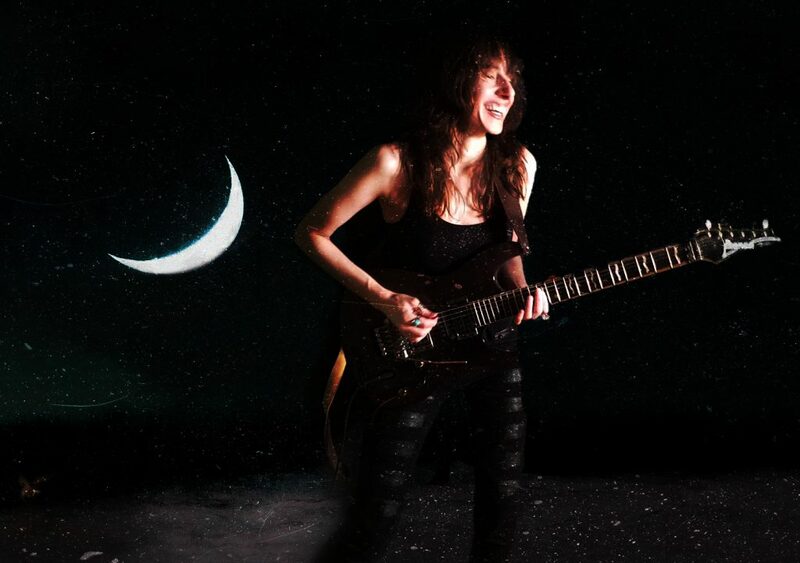 “Cacophonous, complex, illustrative, dense, awash in radiance, terrifying, challenging- all of it driven by the taut, ferocious guitar work and instrumental mastery demonstrated by Ms. H.